The major role of micro-organisms in bioleaching processes is to catalyse the regeneration of ferric iron and protons, which are achieved by ferrous iron and sulfur oxidation, respectively. These micro-organisms grow in an aerobic, inorganic and low pH environment. The pH levels within tanks and heaps may vary, but is highly acidic and typically within the range 1.0 to 2.0. The most important micro-organisms are autotrophic and utilise carbon dioxide as carbon source. Although the exact nature of the energy sources may vary from mineral to mineral, they grow by oxidising reduced forms of sulfur or ferrous iron, or both. Acidophilic bioleaching microbes present in bioleaching processes generally comprise several species with widely different temperature optima. 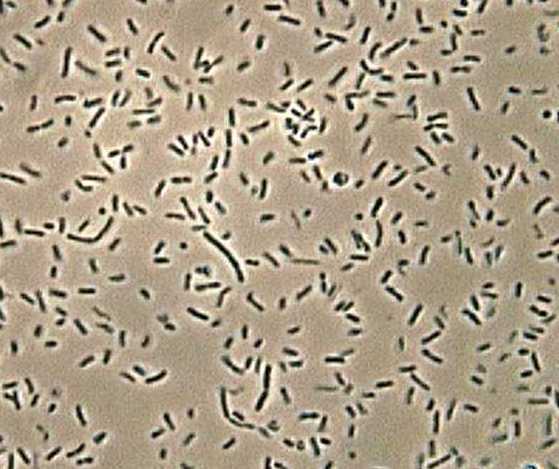 These microbes may be conveniently categorised into three groups according to their temperature ranges: mesophiles (20 to 40 °C), moderate thermophiles (40 to 55 °C) and thermophiles (60 to 80 °C). 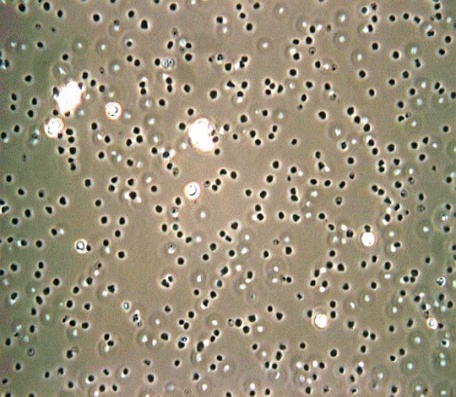 In general, the types of micro-organisms found in heap leaching processes are similar to those found in stirred-tank processes. The most important micro-organisms in bioleach processes that operate from ambient temperatures to about 40 °C are considered to be a consortium of iron- and sulfur-oxidizing Acidithiobacillus ferrooxidans, the sulfur-oxidising Acidithiobacillus thiooxidans and Acidithiobacillus caldus, and the iron-oxidising Leptospirillum ferrooxidans and Leptospirillum ferriphilum. At moderately thermophilic conditions, At. 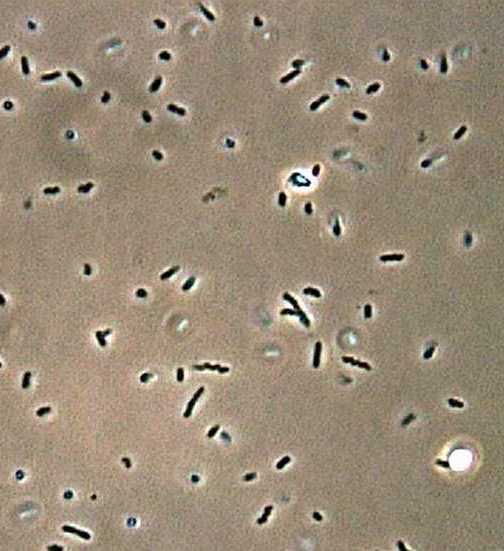 caldus, L. ferriphilum, Sulfobacillus sp. and Ferroplasma sp. seem to dominate, while species of Acidimicrobium may also occur in systems operating at temperatures around 50 °C. Thermophilic consortia are typically dominated by archaea with species of Sulfolobus, Acidianus and Metallosphaera being most prominent. Mintek’s Biotechnology Division has a range of microbial cultures available which have been adapted over a number of years to tolerate high concentrations of dissolved metals such as copper, zinc, nickel, arsenic and iron. These cultures are maintained under operational conditions, and are available to inoculate reactors and columns during commercial and R&D test work programs. 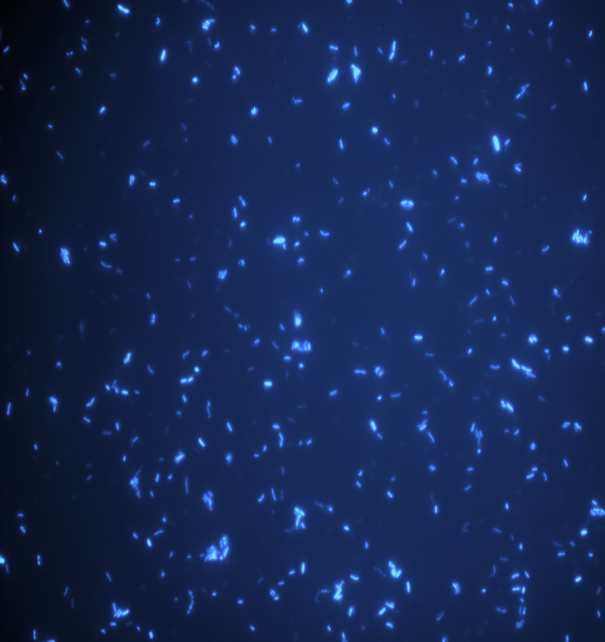 The Division has the capability to detect and quantify microbial populations in bioleach systems. 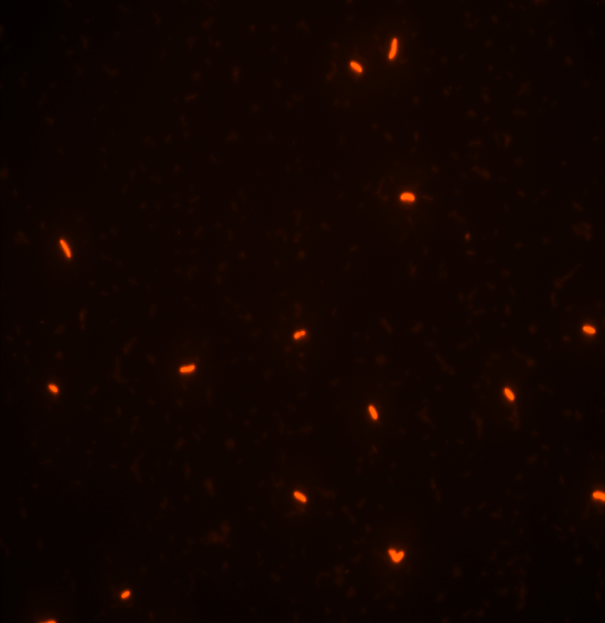 Modern molecular techniques including fluorescent in situ hybridisation (FISH) and polymerase chain reaction (PCR) are powerful tools that can be applied to describe biodiversity and to follow changes in microbial consortia present in bioleaching systems, without having to culture the microorganisms.